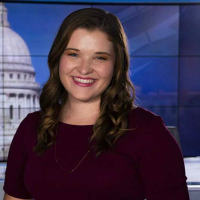 Hannah anchors NBC15 News at 11 and is the team’s lead investigative reporter. 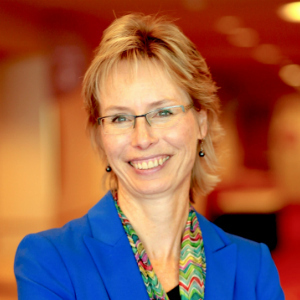 She also anchored the weekday Morning Show before transitioning to the 11 a.m. and launching the station’s renewed commitment to investigative reporting. 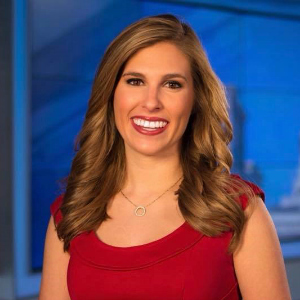 Hannah also anchored in Wausau for nearly five years. Hannah prides herself on being able to anchor breaking news in a thoughtful, ethical and accurate way. 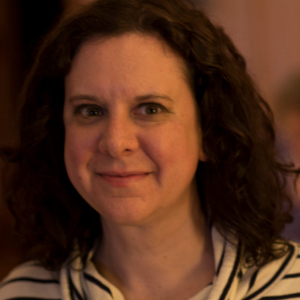 Mom, fundraiser, blogger and ardent reader, Laura is also a reviewer for Readers Lane. 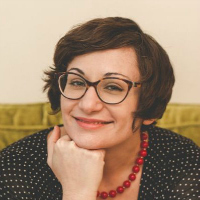 When she’s not helping people find their perfect book, she profiles local women and their literary choices in BRAVA’s “On Her Bookshelf” column. Check out what Laura is currently reading by following her on Instagram @laura_at_the_library. 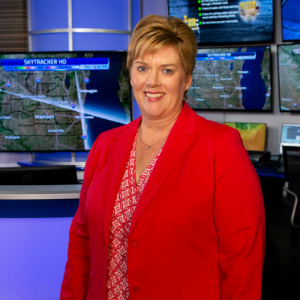 Amy Carlson has been reporting the weather at NBC-15 for the past 30 years. One of the best parts of her job is meeting the fascinating people who make the Madison area such a vibrant place to live. Amy and her husband are almost empty nesters and look forward to exploring more of the Madison restaurant scene once they can reserve a table for just two. 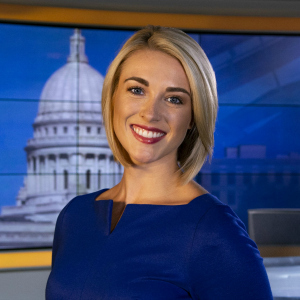 Hannah Flood joined the NBC15 news team in January 2016 as a Multimedia Journalist/Reporter and is now waking up early as anchor of The Morning Show. She’s originally from the Twin Cities and graduated from the University of Minnesota in December of 2015. 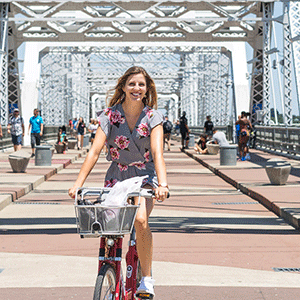 When she’s not spending time behind or in front of the camera, Hannah loves exploring the Capital City and spending time outdoors. Samantha Georgson graduated from UW Madison with her bachelor’s in Strategic Communication and Consumer Behavior. 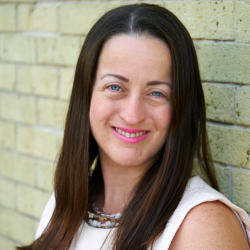 She’s a driven and fun-loving freelance writer and blogger who is most passionate about engaging with the inspirational people who become the center of her stories. When she isn’t home with her two kittens, she loves attending Madison’s many fun, local events and festivals. 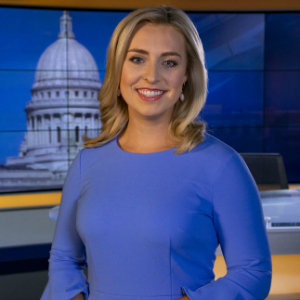 Kalie Greenberg is the weekend anchor at NBC 15. 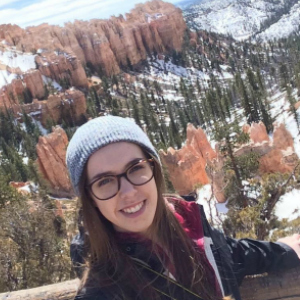 She moved to Madison in March 2017 from Grand Junction, Colorado. Kalie is a Chicago native and graduate of Boston University’s College of Communication where she studied journalism and political science. Kalie loves the outdoors and travel. She has visited more than 24 countries. In Wisconsin, you’ll often find her exploring with her Great Pyrenees dog, Kane. Nicole C.W. Gruter, MFA, has been writing and performing for decades in Madison, New Orleans and beyond. Her radio dial is set to WORT FM, her GPS is set to any given Wisconsin state park and her alarm is set to as late as possible. 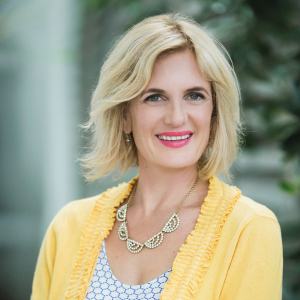 She is the owner of organizing business Positive Space, where she helps people focus on downsizing and starting new life chapters. 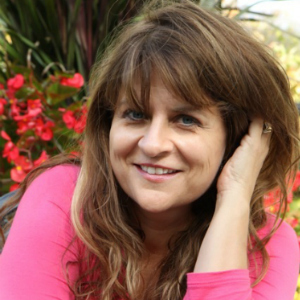 Tina Hallis, Ph.D. is a professional speaker, author and founder of The Positive Edge. 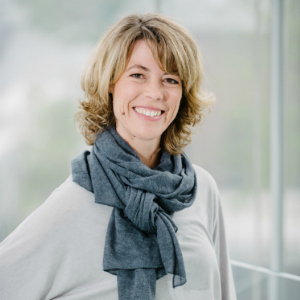 She uses the science of positivity to improve morale, teamwork and ultimately productivity by teaching people how to shift the way they think about their jobs, colleagues and customers. The result is more resilience, less stress, improved relationships at work and at home and increased positive performance. 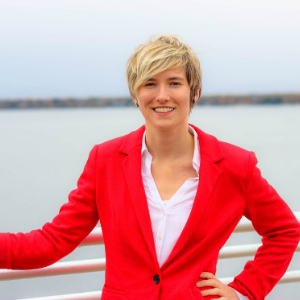 Milwaukee travel writer Kristine Hansen likes any place on water, whether it’s Lake Geneva or the Pacific Ocean. Bonus if food is involved. One day she hopes to swim the shores of New Zealand…and also sip locally made Sauvignon Blanc and knit sweaters using fiber sheared from local sheep. 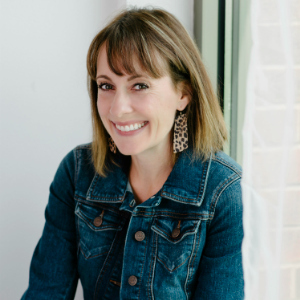 Holly is a writer, editor and communications consultant/coach in Madison. 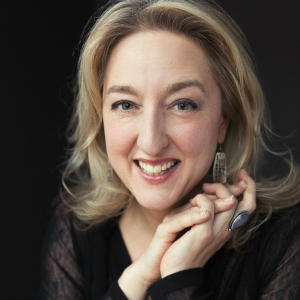 She writes on arts, culture and business, edits independently published non-fiction books and helps non-profits engage with their target audiences. 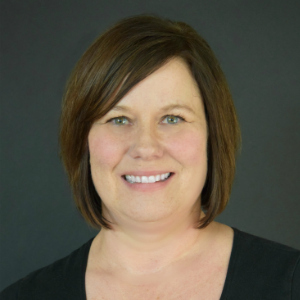 A farm kid-turned-financial reporter, Henschen has worked in communications for Wisconsin 4-H Youth Development, UW Cooperative Extension and the Wisconsin Newspaper Association. She loves reading, yoga, meditation, nature, music and other people’s pets. Erin Hueffner is a writer who lives in McFarland, Wisconsin. A lifelong Badger fan, she earned her bachelor’s degree in English and Spanish from the University of Wisconsin-Madison. 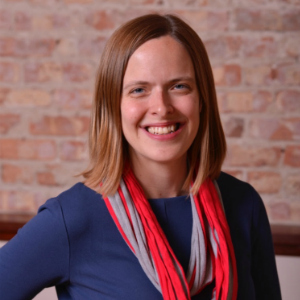 Erin started her career with the Wisconsin Alumni Association. She loves our city, and you can often find her boating on Lake Mendota in the summertime. 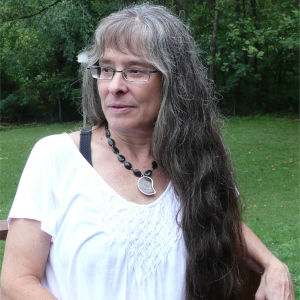 Jeanette Hurt is an award-winning writer and author of a dozen books, including the critically acclaimed Drink Like a Woman (Seal Press 2016) as well as the upcoming The Cider Rules (Skyhorse Publishing 2019) and The Wisconsin Cocktail Book (University of Wisconsin Press 2019). 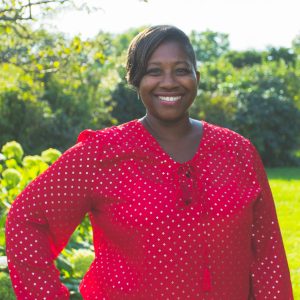 A freelance writer and photographer based in Milwaukee, Jones has been featured in Milwaukee Magazine, Just Jazz Guitar, and VFW Magazine among other publications, and her photos have been featured in Racine Art Museum’s exhibition “Wisconsin Photography 2018”. Her passion is producing profiles making the everyday extraordinary through words and pictures. Scuba diving shipwrecks in Lake Michigan is one of her favorite stress relievers. 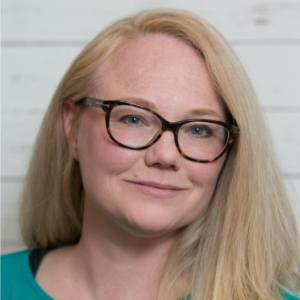 Emily relishes the deep dive into a story, and has been a freelance writer for close to 15 years starting in Michigan, then Montana and now Madison for the last eight years. She also loves seeing new places with her husband, roaming the dog park with her puppy, Duncan and paddleboarding! Molly Nagappala is a writer, a lifelong Wisconsinite, an aspiring world traveler and a recovering bureaucrat. She lives in Madison with her husband and unfortunately-named cat, Isis. 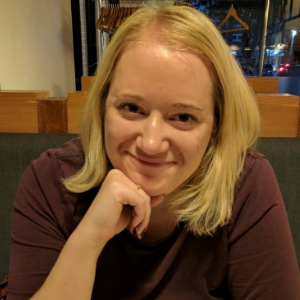 You can find her being an intersectional feminist killjoy on Twitter and a crazy cat mom on Instagram, both @sconniemolly. Katie lives on Madison’s near west side with her husband who works at UW, two teens who attend West High School and a jittery dog. She works for a trade association and her side hustles include writing about dance and theater and selling clothes on Poshmark. Meghan is an early riser as a morning anchor for NBC15. She loves people and storytelling and cannot imagine a job better combining the two. Outside of news, Meghan enjoys taking advantage of all four seasons. From snowmobiling and downhill skiing in the winter to water skiing in the summer (or at least making an attempt), she is happiest anywhere with water, sand and sun. Megan Roessler is a Madisonian who studied Art History at the University of Wisconsin—Madison. 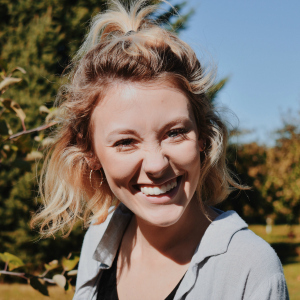 Since graduating in 2017, she has worked as an intern with the Mount Horeb Area Historical Society, Taliesin Preservation, BRAVA Magazine and the Monona Terrace Community and Convention Center. Megan is interested in environmental history and material culture. She writes and illustrates comics in her spare time. 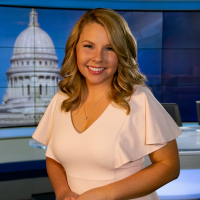 Gabriella is the NBC15 Weekend Morning Anchor and works as a news reporter during the week for the evening newscasts. 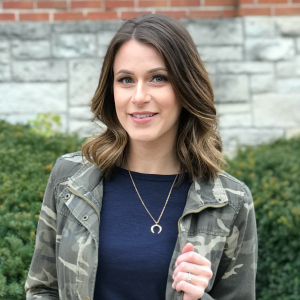 She spent the past two years in the Quad Cities working as an anchor/reporter and is excited to make the move to Madison. She is a proud graduate of Syracuse University and loves reading and watching sports. Born and raised in Wisconsin, Rae Sanders is a freelance journalist inspired by women who ride the fringe and make a statement to the world. 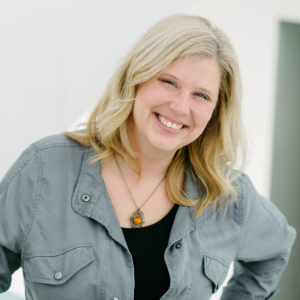 Rae has a journalism certificate from Madison College, and has written for Isthmus and In Business magazine. She also works in TV journalism with a focus on politics. Her hobbies include exploring the music scene and the great outdoors. Hywania is a copywriter and native of Chicago. 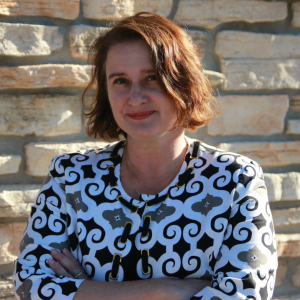 She moved to Madison in 2005 to work as a radio news reporter. She enjoys volunteering, traveling and listening to live music. Candice loves writing about great food, unique places and inspiring people, and is a regular contributor to BRAVA and Isthmus. A graduate of the UW J-School, she didn’t plan to settle in Wisconsin when she first moved from the Chicago area, but she fell in love and can’t think of a better place to raise her two boys. Follow her on Instagram @candicewagener. Kaia is a photographer that sees the beauty in life all around her all the time. Her goal is to capture her clients as they truly are and their beauty within that scope. She strives to serve them lovingly, creating a series of images they can cherish forever. She is also a fun-loving, bubbly kind of person, who brings joy to photoshoots. 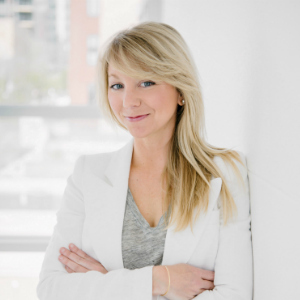 Sunny is a former BRAVA gal now using her marketing, graphic design and styled photography experience to help small businesses connect with their ideal audience. She lives with her husband and two kids on Madison’s West Side. They are mid-century modern enthusiasts and are always dreaming up their next big DIY house project. You can follow her work on Instagram @sunny.frantz. Valerie’s nearly 20-year career in photojournalism has put her and her camera in front of U.S. Presidents and celebrities, on the scene of major national events, and on the sidelines of countless Packers games. More importantly though, she has cherished the opportunity to visually tell the stories of thousands of everyday people across the nation. Valerie lives in Madison with her husband and daredevil son. Lisa is a natural light photographer specializing in high school senior and family portraits as well as modern headshots. She loves the creativity of being a photographer. She lives with her family in Waunakee, WI. Check out her work at lisawilcoxphoto.com. She is also a creator and styling enthusiast. Her upbringing in the Madison area lead to the creation of Style 608 by Ashley Anderson where she is able to share her love for fashion. She still resides in the Madison area with her husband and their two dogs. 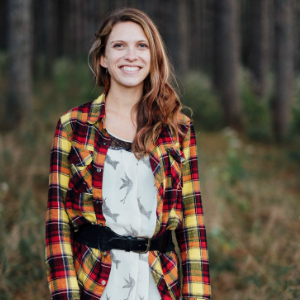 Stacey is a mom, wife, squirrel lover, graphic designer, illustrator and maker who loves a good old fashioned. She’s spent her 20+ year career doing everything from designing floats for the Rose Bowl Parade to creating toys and dolls for 5 to 10-year-old girls. Born and raised in the Midwest, she now lives in Mount Horeb with her husband, daughter and cat menagerie. Katrina is a stylist, model and the social marketing brains behind her business Inspo & Co. She uses digital content to explore fashion, beauty and talk openly about her own self-love journey. 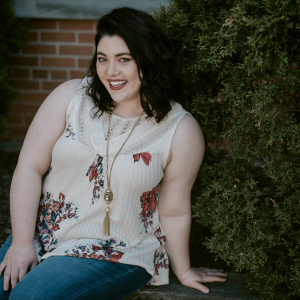 Born and raised in Madison, Katrina enjoys collaborating with other creative babes, traveling with friends and spending quality time with her parents and four younger siblings. Holly is an illustrator and designer specializing in watercolor and digital art. She relocated to Madison after college and fell head over heels for the blustery, snowy winters. When not illustrating, you can most likely catch Holly riding bikes, running or pretending to be a mountain woman.